A former Torrey Pines High School student accused of posting threats targeting the school on his Instagram account was charged with making criminal threats but did not appear at his arraignment because he is being treated at a psychiatric hospital, his attorney said Tuesday. Kevin Gregory Matlak, 21, faces four years and four months in prison if convicted, said Deputy District Attorney Matthew Greco. Classmates of Matlak who graduated in 2015 reported the threats to law enforcement on May 30, leading to his arrest. Watkins told reporters Matlak didn’t threaten anyone directly, but three former classmates read his posts on Instagram and felt threatened by them. “I hate all of you,” Matlak wrote in one post, according to Greco. “Get the (expletive) out of San Diego 2K18 before I find u,” the defendant wrote in another post. Matlak also posted a photo of an AR-15 rifle, Greco said. Judge Maureen Hallahan agreed with Greco that Matlak was a danger and issued a $500,000 warrant for his arrest. 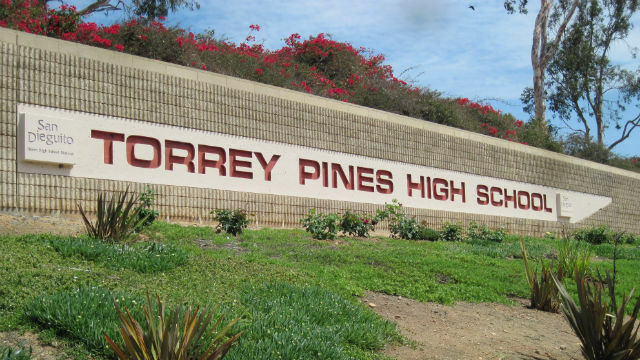 The judge said she wanted to make sure Torrey Pines had a safe graduation ceremony on Friday .